The Bulgarian Parliament expectedly voted in favor of dropping the name of the Belene nuclear power plant project from the upcoming referendum on the fate of the country's nuclear energy. The government of the ruling center-right GERB party scrapped in March 2012 the project to build a second Nuclear Power Plant in the Danube town of Belene, declaring it economically unfeasible. The pro-Belene oppositional Bulgarian Socialist Party then launched a petition for a referendum on the Russian-Bulgarian project's fate. 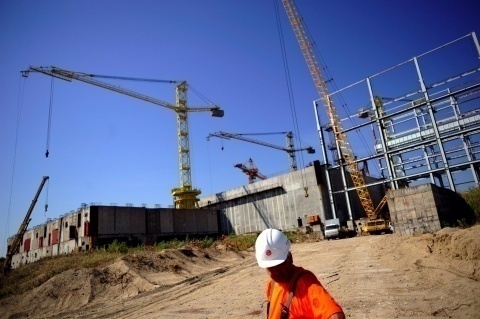 The original question of the petition was: "Should nuclear energy be developed in Bulgaria through the building of a Nuclear Plant at the Belene site?" The edited question, which was proposed by GERB, postulates: "Should atomic energy be developed in Bulgaria through the building of a new Atomic Plant?" The ruling party stated that a referendum on a particular project would be unconstitutional. Despite protests from BSP, a total of 106 lawmakers voted on Wednesday in favor of the edited question, while 7 MPs voted against. BSP and the ethnic Turkish Movement for Rights and Freedoms did not take part in the vote, as they left in sign of protest. The Socialists once again argued that GERB disregarded the opinion of over 700 000 people who had signed their petition by altering the referendum question. The left-wing party is yet to announce whether it will refer the matter to the Constitutional Court. The referendum is expected to take place in the second half of January.